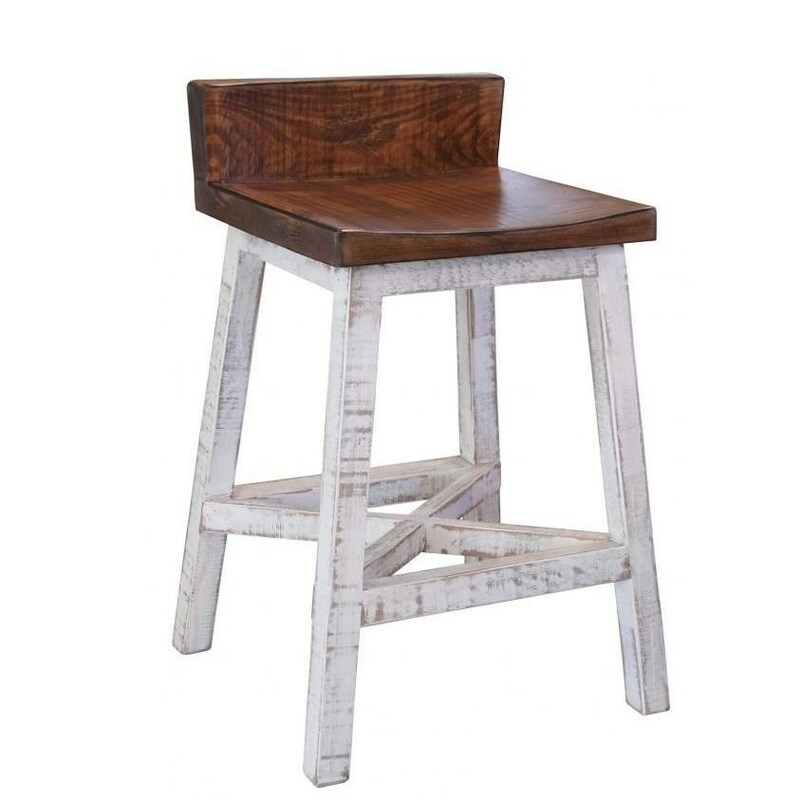 This rustic, counter height bar stool will be a perfect accent to your kitchen or bar area. The base and seat of the stool are made of wood and features a natural brown finish. The design of the piece is refreshingly simple with clean lines and a homey design. The Pueblo 24" Counter Height Stool with Low Back by International Furniture Direct at Furniture Mart Colorado in the Denver, Northern Colorado, Fort Morgan, Sterling, CO area. Product availability may vary. Contact us for the most current availability on this product. Finish Solid Pine wood with multi-step deep finish. With distressed finishes and worn hardware, this collection looks straight out of the southwest. It contains everything your home will need from occasional tables to bedroom sets. Unique, mesh metal doors and sliding doors combine with rustic finishes to create a familiar yet updated style. The Pueblo collection is a great option if you are looking for Transitional furniture in the Denver, Northern Colorado, Fort Morgan, Sterling, CO area. Browse other items in the Pueblo collection from Furniture Mart Colorado in the Denver, Northern Colorado, Fort Morgan, Sterling, CO area.